UPDATE: The developer behind the CityPlace Burlington project now says they are back on track thanks to a proposed financing agreement with a new lender. 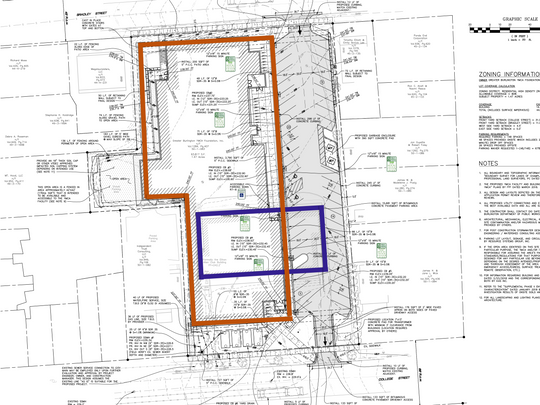 According to the latest update from majority partner Brookfield Asset Management, construction is set to begin again around May 6th, with an initial occupancy timeline of March-May, 2021. 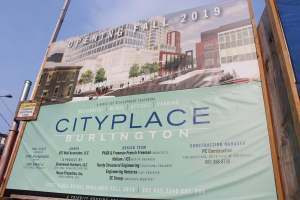 Once completed, CityPlace Burlington will feature a mix of retail, commercial and residential offerings in the space that used to be occupied by the downtown Burlington Town Center. What is still unclear, however, is what kind of housing will be included in the $220 million project. One key to selling your home is to present it in a way that will make buyers feel at home as they tour your house. 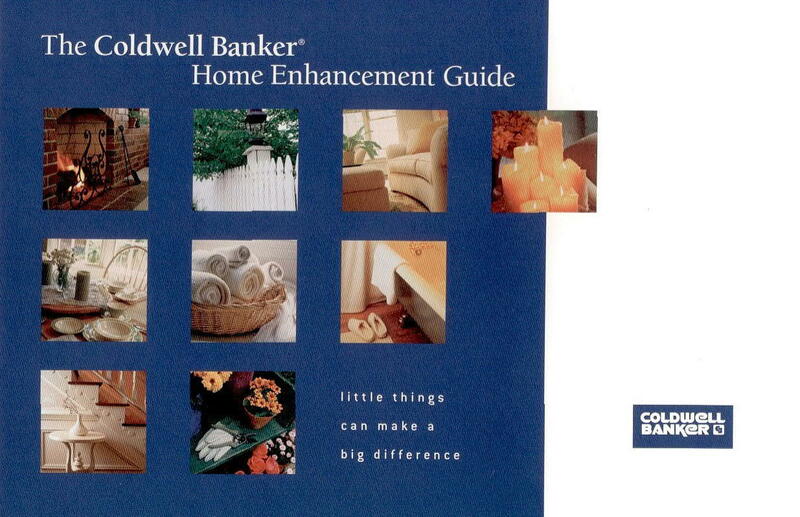 Lying around the office was an old copy of a “Coldwell Banker Home Enhancement Guide.” In it are some great suggestions about how to prepare and stage your home for photos, showings, and sale. 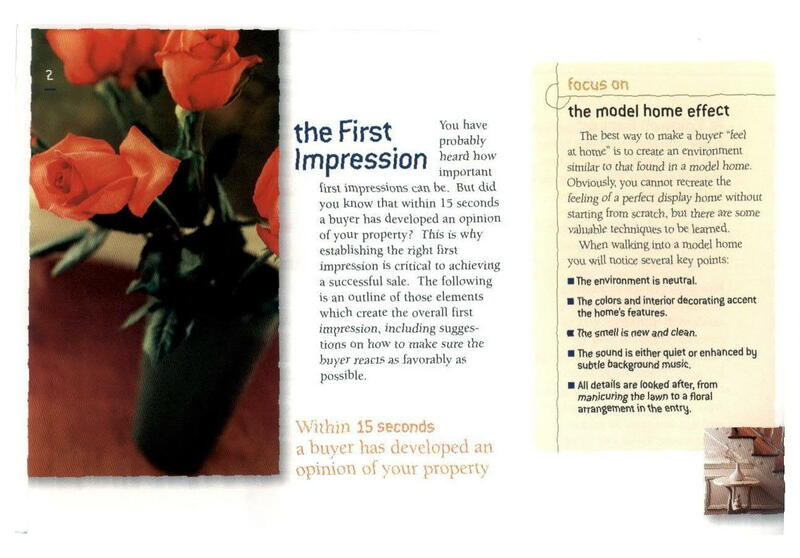 Did you know that within 15 seconds a buyer has developed an opinion of your property? First impressions are key! It is proven that people react more favorably to property shown under bright light than dark. The following steps should help you keep your room as bright as possible. Consider replacing old fluorescent lamps, which darken with use. Smell has more impact that you might expect. It can work for or against you. The smell of newness is positive. This scent can be achieved by applying a fresh coat of finish to natural wood or paint to walls. The smell of cleanliness is important. Beyond actually cleaning, fresh flowers or grinding a quarter section of a lemon in the garbage disposal can help. Smells to avoid: strong pet odors, tobacco, oil or gas. This is just a small excerpt, and while some of the suggestions are dated like, “Install a wall telephone in the bathroom for a high-tech look”, the fundamental concepts of the guide still ring true. There are lots of small things a seller can do that projects to buyers that the home is clean, well maintained, and a lovely place to live. View a PDF of the full Guide HERE! Anyone who's followed the Burlington Bike Path north through Waterfront Park and the past new Sailing Center has seen the defunct Moran power plant, standing tall above the Andy A_Dog Williams Skatepark. In a continued effort to improve community spaces along the waterfront, Burlington city councilors voted Monday to advance plans to 'rescue' the plant by undergoing a partial demolition, maintaining the steel frame of the structure, and converting the building into some sort of public space. Proposals have included lookouts and viewing decks with park space on the ground level. From an economic standpoint, partial demolition could prove less costly to tearing the entire building down. Funding for the project could come from "anticipated upticks to waterfront district tax revenues, as well as a $2 million federal loan." Read the full article and see more photos from the Burlington Free Press HERE! Introducing the Lipkin Audette Team! We are delighted to announce that The Carol Audette Team and Steve Lipkin Team are merging effective January 1, 2019 to create the Lipkin Audette Team! The UVM Board of Trustees approved a unanimous resolution in October regarding how the proposed Multipurpose athletic facility will be funded. The payment strategies mentioned by the proposal include gifts, bonds, credit, and student fees. UVM is reported as having secured $21.8M from donors so far with a goal of $30M by Feb 1. 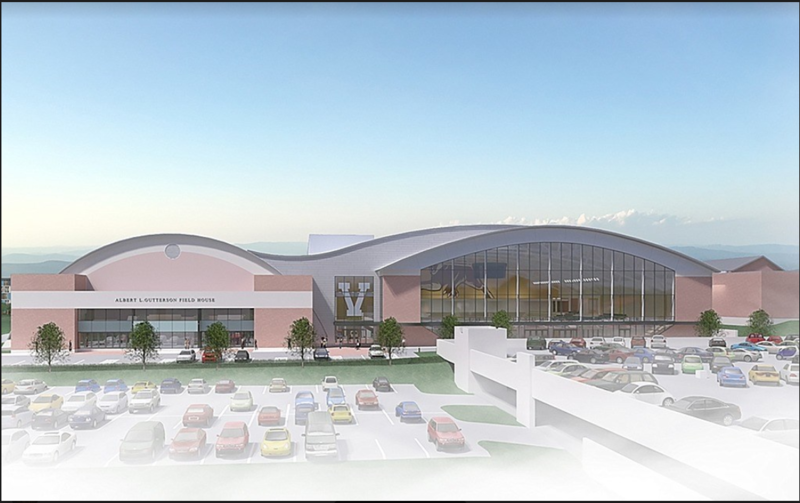 The project itself includes construction of a new basketball arena, expanded fitness center, expanded health and wellness spaces, renovations to Gutterson arena, and complex-wide renovations. Read the full article in the Vermont Cynic HERE! 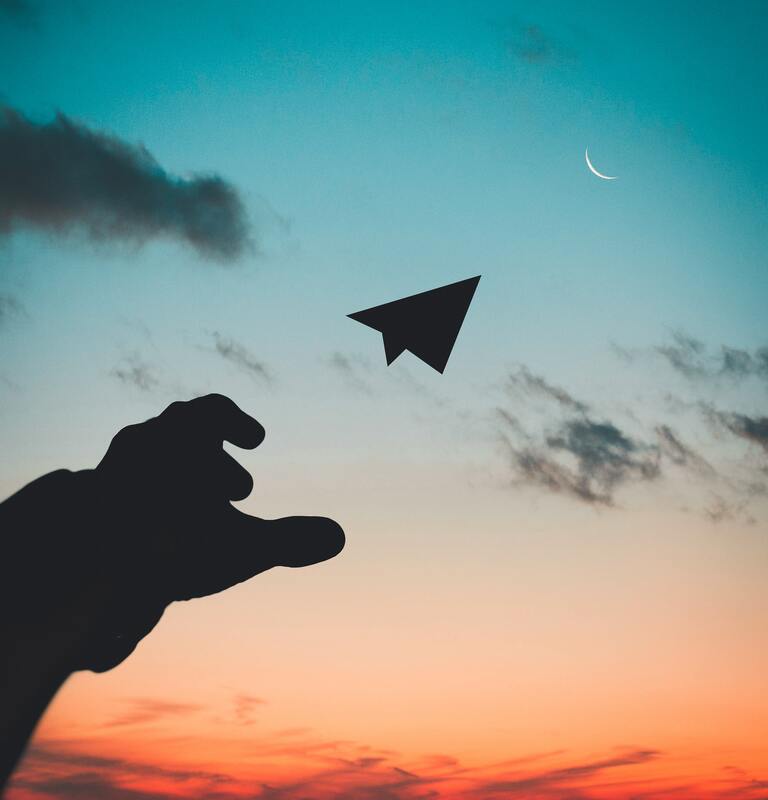 We all know the line, “good fences make good neighbors,” but what if your neighbors are flying over the fence as they take-off and land their aircraft on a private runway… on their side of the fence? In North Hero, neighbors are clashing over the construction and permitting of a half-built grass runway to be used by small, recreational aircraft. The pilots and their attorney have been working with local and state officials to form a proposal that lays out how many flights a day the pilots can operate from the airstrip, how much fuel should be kept on site, a provision to allow emergency use of the runway in the event of a crisis, and other conditions that are aimed to ensure the pilots remain considerate of their neighbors when using the site. However, as with many of the homes situated on Lake Champlain, residents (seasonal and year-round alike) invest in the area for its natural beauty and serenity. Homeowners are understandably concerned with how the added noise and presence of the airstrip will affect their own property value – an issue Chittenden County residents are familiar with given the context of the heated battle over the incoming F-35 jets at Burlington International Airport in South Burlington. The current status is that the runway owners have until February 7 to complete their application with the Vermont Transportation Board. North Hero Select Board Chair Eileen Mitchell is quoted to have written that the town “has no zoning bylaws or ordinances prohibiting” the landing area. Read the full article in Seven Days HERE! Gordon Winters, owner of five other existing Ace Hardware stores in Vermont and New York, is in the process of opening another Ace Hardware on College Street in Burlington. 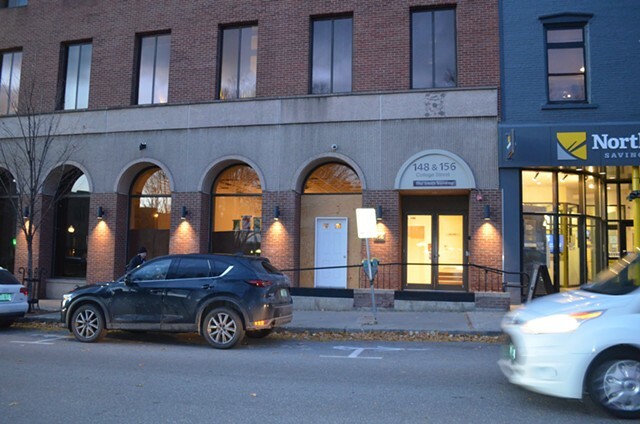 The location, directly across from City Hall Park, abuts a Northfield Savings Bank branch. Winters and others say the store is filling a void left by the closing of Hagar Hardware on Church Street in the 90’s. The store would stock typical hardware store products in addition to specialty items targeting “college students, specialty plumbing for the city’s older buildings, and a marine section for boaters.” A hardware store is a step towards having more downtown retailers that serve residents’ daily needs in addition to the many restaurants and boutique stores. In this Seven Days article, the author cites Bibens Ace in the New North End as the next closest hardware store at 3 miles away from downtown. In the comments section, folks have mentioned that Curtis Lumber, while closer, is a building supply store, catering especially towards contractors in their stock and hours. Read the full article from Seven Days HERE! 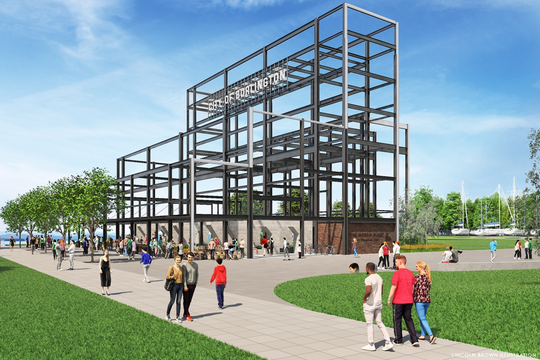 With a proposed completion date of early 2020, construction has begun on the new building for the Greater Burlington YMCA. If you’re headed up College Street, check out the newest big hole in the ground between South Union St. and Hungerford Terrace. S.D. Ireland has been hard at work on the foundation of this $15M project. The building will house two pools, a gym, running/walking track, fitness studios, workout space, and expanded drop-in child care space. The footprint of the building will eclipse that of the old Ethan Allen Club which has been demolished to make space for the new Y. The Y states that membership rates will go up, but expected increases in membership numbers will help keep these price increases moderate. Read the full article from the Burlington Free Press HERE! Would you like to buy a house, 4 Bedroom, 1 bath, anywhere you’d like for $2,495? Well then hop in a time machine to the 1920s when Sears & Roebuck offered to sell you an entire house and ship it to you in a sealed train car to assemble on your own with limited tools, time and expertise. Maybe houses will be the next offering from Amazon, after recently adding fresh(ish) cut Christmas trees to their distribution centers. Maybe you’re living in a catalog home and you don’t even know it? 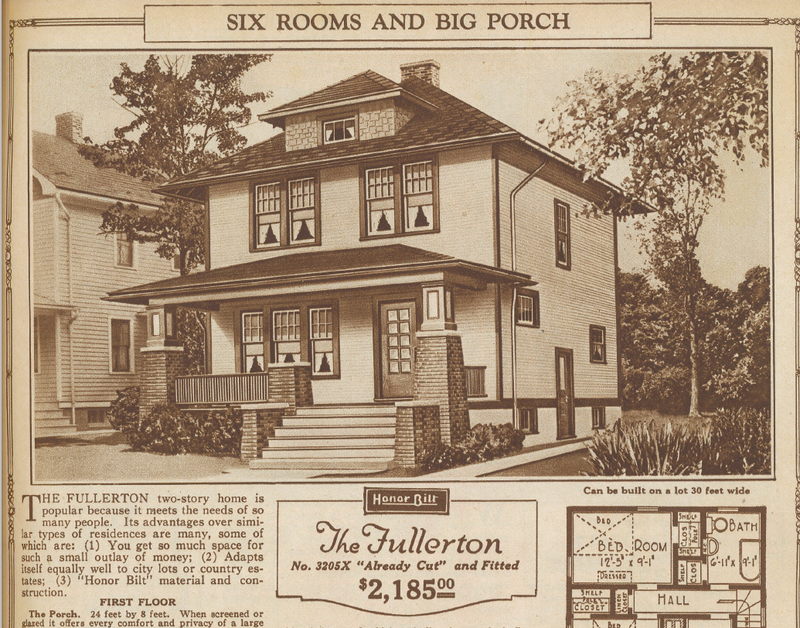 An example of a Sears Fullerton model - 146 N Prospect Street. Mail order homes represent an American spirit of fierce independence and confident optimism to have enough foolishness to believe that you could assemble a home that could stand for a century as if it were a LEGO set. Many have admired the idea of these homes for a long time and have often wondered if some of their neighbors lived in such houses. Thankfully, Burlington has published, “A Guide to the Catalog Houses of Burlington, Vermont.” Written in 2009 by a UVM graduate student as part of the Community Preservation Project, the Guide documents various homes in Burlington and their corresponding model types. For the adventurous, I’ve added a pin for each of the 30 houses identified in the Guide to a Google Map, creating a virtual scavenger hunt around Burlington! Enjoy! Hummer, Lauren. “A Guide to the Catalog Houses of Burlington, Vermont.” City of Burlington, Vermont, 2009, www.burlingtonvt.gov/sites/default/files/pz/historic/informational/Guide%20to%20Catalog%20Homes%20in%20Burlington.pdf. Rosenberg, Joe. “The House That Came in the Mail.” 99% Invisible, 99percentinvisible.org/episode/the-house-that-came-in-the-mail/. 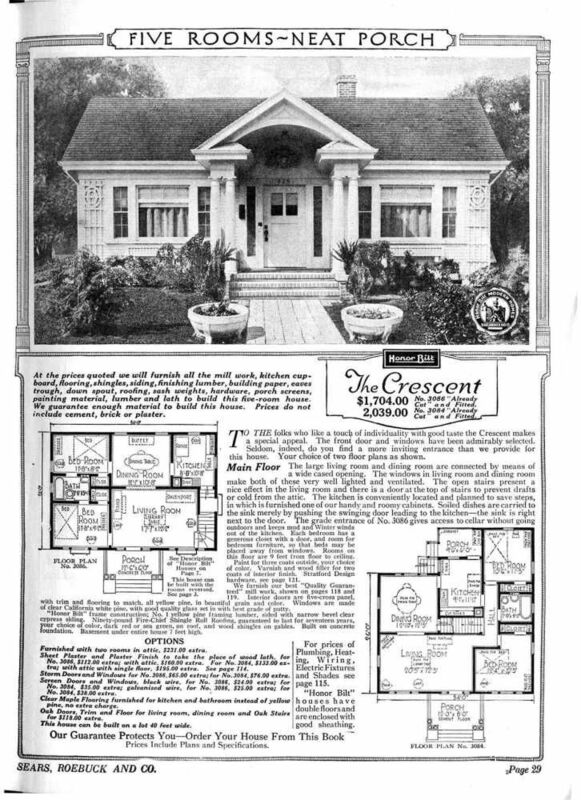 “Six Sears Houses.” New England Historical Society, 30 June 2018, www.newenglandhistoricalsociety.com/six-sears-houses/. This August, three hundred fourteen Champlain College students will move into the newly constructed 194 Saint Paul Street building. This ambitious Champlain College project has been years in the making as part of the College’s goal to house even more of its undergraduates. The new building is about half a mile from the center of Champlain College’s campus, and also only a few blocks from Church Street and the waterfront. It’s unclear exactly how the changing marketplace will affect the composition of renters in what are currently popular student zones in Burlington. 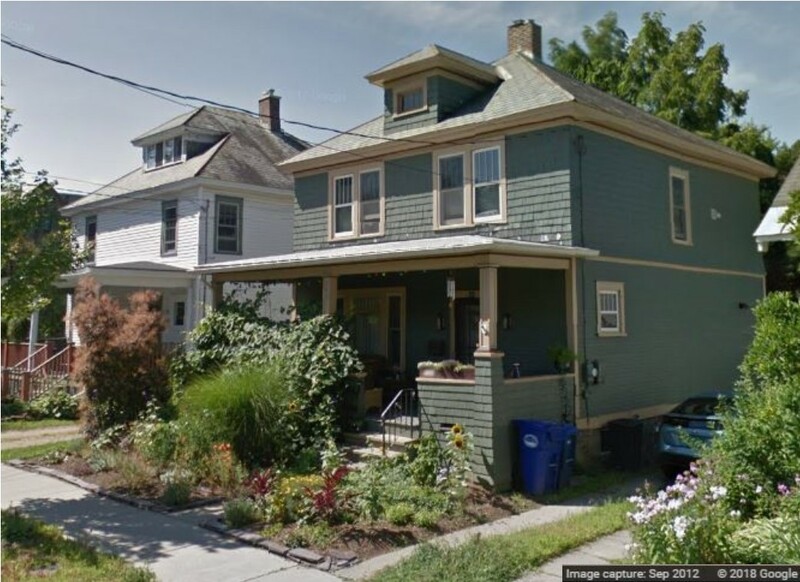 Nevertheless, according to real estate agent and landlord Steve Lipkin, “the market is at tight as [he’s] ever seen it for residential single-family homes in Burlington.” Read the full story from Seven Days VT HERE!